Today I’m gonna open up myself. I haven’t written anything personal from the day I have started my blog but today I felt to write something personal. We have entered a brand new year with high hopes. 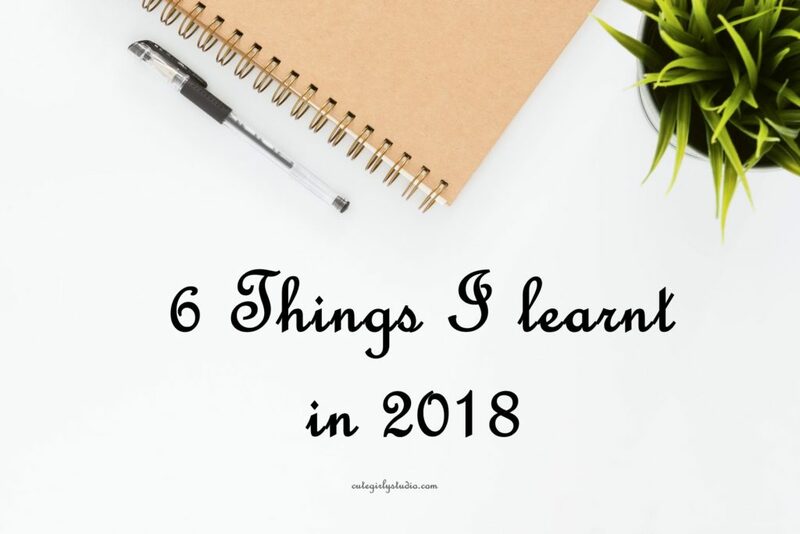 I want to take time to recollect things that I have experienced in 2018 and pen it down. 2018 was full of ups and downs and it taught me some lessons and not the same person who was in Jan 1, 2018. I have changed drastically in the past 12 months. It taught me the following lessons. I’m someone who doubts myself often. I was in final year of my graduation and was working hard on my project. It was DEC 31, 2017, everyone was celebrating the arrival f new year, I was sitting at my bed and working on my project. I had the deadline to submit the project on JAN 27, 2018. While my friends and classmates decided to buy their project, I decided to work on my project instead of buying it for money. But it was not easy as I thought initially. I was struggling everyday to get my project done. My friends threatened me that if I don’t submit the project on the specified date, my marks will be reduced. Securing low mark is a night mare for someone like me who used to be the topper. Then I made my mind that I can’t complete the project and went ahead and paid the money to get my project done. But I want everyone to prove wrong. From the next day onwards I started working on the project, and atlast I completed the project all by myself. That is when I realized we should never doubt ourself even when people around us scream we are wrong. In those 20 days I hardly got 3 hours sleep per day but at the end everything was worth. 2018 made me busy. I had a full-time job, a blog and a new skincare brand. Managing all three taught me to respect my time. I’m someone who sits on the couch for days and does nothing. Now I don’t feel so, I keep myself engaged in some activity that keeps me happy. I would say don’t spend your time on something that is not serving you happiness. In my opinion one should never regret wasting their time. I’m someone who is extremely emotional and gets super attached to people around me. Some in the name of friends manipulated me for their good which lead me into troubles. Though that was a bitter experience, I learnt to stay away from toxic people. I’m an introvert. I don’t initiate a conversation and it takes time for me to get along with people. People around me used to question why are you so silent? . I used to think that I’m not like others and I want to be an extrovert. But later I realized I like reading a book rather gossiping with my friends. Though I don’t spend my money lavishly, I used to buy things impulsively at times. When I decluttered my stash a month back, I found several skin and hair care product that I never cared to use. I started respecting my money and spent it mindfully. Everytime I want a product, I don’t add them immediately to cart. I think about the product after 24 hours. If my mind even says I want the product, I’ll buy. 80% of the time I lose the interest on the product. When I started my skincare brand, I was frustrated that the product images didn’t look good. I was frustrated that I don’t own a DSLR. But after receiving positive reviews for my products, I learnt the products speak louder than the image. So these are something that I wanna share with you guys. Thanks for stopping by.